Facebook has finally made the Slingshot app available, with the private photo and video sharing to a certain group of people, and it is quite some competition to the Snapchat app. And there is a catch, for those who are receiving a photo or video from their contact. In order to view that media, they will have to capture something and send it back to them. Once the shot is swiped, it is gone and you won’t be able to do anything much to it later. Captions and drawings enables the user to be more creative while sending a shot. Shot can be viewed later although if you unlock it now, because unless it is swiped, it won’t be erased. It looks more like a feed rather than a chat client, because there is nothing directly available, except for the push notification that tells you who sent you a shot. Your response can be delayed and the content is locked till then. The Slingshot app from Facebook is available for both, the iOS and Android users. You may go to the respective stores for downloading the app. The APK file for Android is available for the users in other countries where the app is not available in their region through the Google Play Store. You can simply download the APK and install it, and the app any way allows the users from around the world, because the entire list of countries is available in the app. 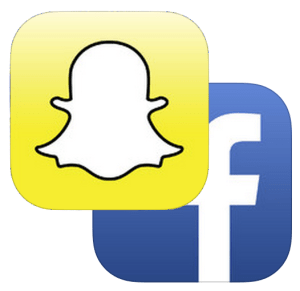 The story about Facebook and Snapchat has been running for long, but finally after the failed attempt to acquire the messaging startup Snapchat, Facebook is reportedly testing its own video-chat app named Slingshot, although the name isn’t official. Facebook has had its self-destructing Poke feature which is about to see its end totally, but the social network isn’t going to kill the concept of self-destructing messages and chats, and thus the Slingshot is being tested and worked on. The planned video chatting app would allow the users to send short video messages with a touchscreen, and the app could go live anytime soon. Don’t get confused with the name “Poke” because that was the name Facebook used for two things – and both of them didn’t attract much users, and thus, the messaging app Poke which was similar to Snapchat, got slowly faded away and Facebook eventually removed it from the app store. 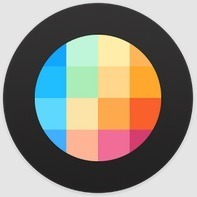 The slingshot app content, i.e. the photos and videos sent through the Slingshot app won’t be available for everyone because only the users having the Slingshot app installed. Just like TapTalk, the app would present to you with the pictures of the friends who are in the network, and you just need to tap and hold to record a video and send it right away. The main purpose of this app is – prohibiting the other end user from downloading the video or photo. Though there is a lot being said about the Slingshot, speculations are that the app is in the store awaiting approval, and thus there is no exact time when the approval might be done and whether we are really going to see something from the Facebooks’ team. Snapchat is unique, and there are no serious alternatives to it, thus Facebook should be trying to catch up the lead that Snapchat has got in the early days. Facebook though isn’t the only one trying out the self destructing stuff, because Yahoo just purchased an app called Blink which does a job similar to that of Snapchat, and Yahoo could include this in the messenger services or bring it out as an independent app any time soon. We’ll get back with the details whenever Facebook makes some official announcement of this work-under-progress app Slingshot.